The Most Popular Worship series features today's most-loved praise and worship songs. An authentic worship experience these beautiful album have been recorded live in a worshipping church in order to provide the individual and corporate worshipper with a powerful worship resource. 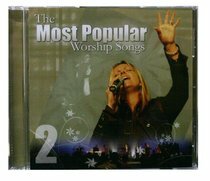 About "Most Popular Worship Songs (Vol 2)"